Blogger Broadcast: Should You Trademark Your Domain Name? Should You Trademark Your Domain Name? Getting your presence established online begins with registering a domain name. Your chosen domain name will become your identity online, which is why it is so important to put plenty of thought into the domain name you choose. Whether you use your name, your nickname, your business name, or a combination of words that is somehow relevant to you, once chosen, it's best to stick with that name - and use various methods of branding in order to drive the point home, so to speak. And once you've chosen your domain name, it might be a god idea to protect it by trademarking it. With a trademark in place, your domain name and its associated name are protected, so if anyone tries to infringe on it in order to profit or simply smear you, you can take legal action. Chances are you've put a lot of money, effort, and old-fashioned hard work into the name that you've chosen for your domain name. Why not take the essential step of trademarking it in order to protect it? Most people do not want others to be able to profit from them, so if you've worked hard at creating a website to match your rand, opt for a trademark. With trademark protection, others will not be able to use your name or one that bears a striking similarity to it in oder to make a profit. 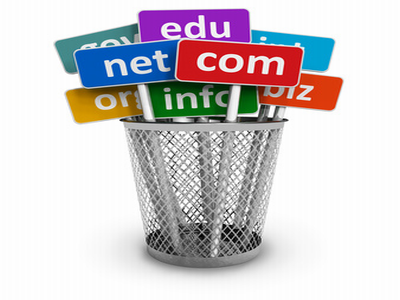 You want to protect your top level domains. You have a catchy name that might be appealing to others. You have a highly profitable company. Your business is strictly online, meaning that you rely on the internet in order to profit, and have no offline customer base to fall back on. Another reason to get a trademark is to protect your named-after-your-company domain name from corporate identity theft. Corporate identity theft refers to people who use a very similar sounding or spelled name in order to take some of your profits. For instance, if your company and domain name is Magic Bean Stalk, without a trademark on the name as well as the domain someone could set up Magic Bean Stick, and try to lure some of your customers to them. Every time I took part in a new start up, we've been spending much time on choosing an appealing site domain. However, I totally agree with you that a brand needs something else than simply a name. Who could think that a name of a ordinary fruit 'apple' would be associated with the most innovative technologies? And that's only one of the numerous examples when a simple word became a perfetc name for a great brand. You're right. Like google or yahoo is a search engine. But, simplicity is key as well. many businesses don't understand that. If you look at any successful businesses, are their names complicated? I usually opt for a domain name that is a bit unusual, but easy to remember too. I think so. I've been stuck with ss or bb. I do need to think of something more than just what i like, but more about what people would like. Yes, i believe that if a person wants to make a good online presence, the domain name should be easily recognizable and special too. My first domain name was one of my nicknames and it never really went through, I discontinued it. But my own blog has a special domain name and i really love it. It is short and easily memorized, so - yes, I think that everyone with the web-page should take some time to chose a good one. Good to know. It is important that people can easily remember the name. I think that is the one thing that takes a lot of time. Trademark is a good idea for the professionals, but I am afraid to even start something like this. How much would it cost in the first place?? I actually don't know that answer, but I do think it depends on the industry. I can't imagine that a trade name for technology costs the same as medical, pharmaceutical. I would definitely NOT want that somebody is pulling any money if I have invested a lots of money in my business. It would be a good idea to trademark everything. This is so helpful. I was thinking of getting fit again but for some reason I can never find the motivation to keep at it.